A beautiful iconic location will have a replacement lighting scheme. This new lighting, will give it more flexibility, better coverage and save energy. This will most definitely be worth a visit, I think! 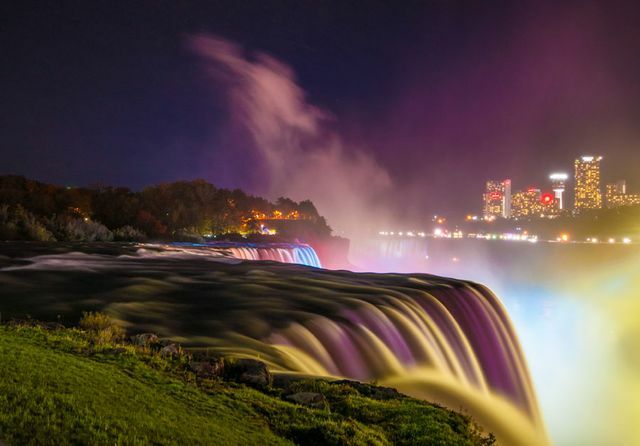 A multi-million-dollar project to redevelop the lighting of one of the world’s most famous landmarks, Niagara Falls, is getting underway in upstate New York. Since the late 1990’s the Falls have been lit with 21 Xenon spotlights, 18 placed on a nearly century old illumination tower and three more secured on the rocky Niagara Gorge. The retro, search-light-style, lighting will be replaced by 12,600 LED lights installed on top of Table Rock, which skirts the Falls and is home to a visitor centre.